I know it has been a while! I love the pictures of Civil War's first foal - a beautiful filly! And the picture of Civil War - he is gorgeous! Can you tell us anymore about how Civil War is doing and any of the other offspring and "Grand-offspring" of War Emblem??? He covered 61 mares this year. Astra Emblem(JPN), 2013C. Daiwa Major(JPN) x Black Emblem(JPN) by War Emblem(USA), won the Koyo Stakes (Alw) 1600m turf at Tokyo on Oct 30th 2016. 8-4-1-1. 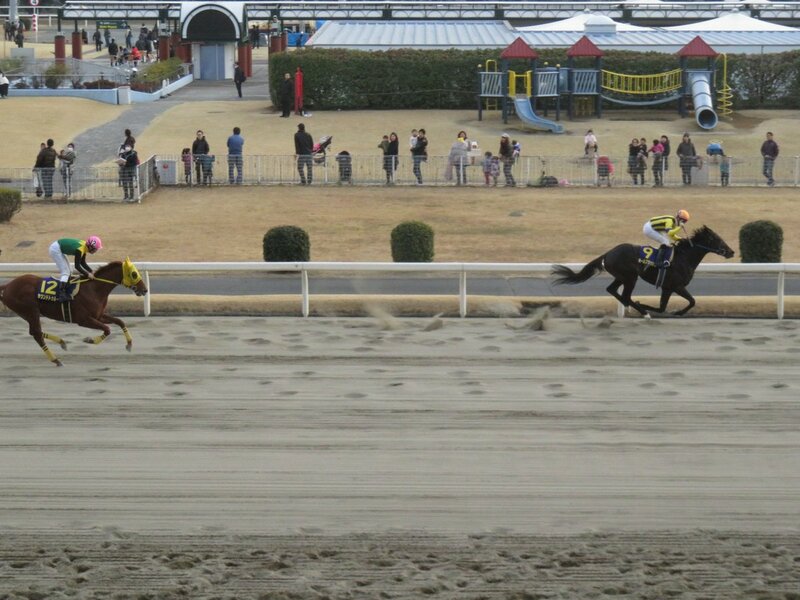 Azeri's Deep Impact colt was in that race. He sure looks like his sire. All Blush(JPN), 2012H. War Emblem(USA) x Blushing Princess(USA) by Crafty Prospector(USA), won wire-to-wire in the 1 million Kawasaki Kinen (Jpn1) 2100m dirt at Kawasaki defeating 2016 JRA dirt champion Sound True(JPN). Thanks Christophe Lemaire for the perfect ride! How are you doing, War Emblem? Thanks, Tachyon--I love the bling on Robe Tissage's Orfevre foal! And All Blush seems to have had a very nice win. Diver52 wrote: Thanks, Tachyon--I love the bling on Robe Tissage's Orfevre foal! And All Blush seems to have had a very nice win. Hope All Blush will continue to do well! There is a good possibility that he will become a stallion when he retires from racing. 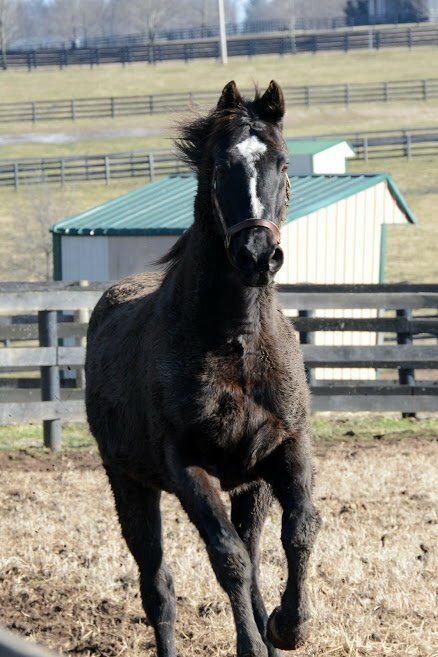 First of all I wanted to say Happy 18th Birthday War Emblem!!! His birthday is February 20th. Next I wanted to thank you Tachyon for the wonderful updates! I still keep up with this thread even if I don't have time to reply right away. I am thrilled about the win by All Blush and winning wire to wire like his sire! And also the nice win by Astra Emblem by Black Emblem! Unfortunately I can't see either video on YouTube because it says the account was terminated. Is there any other links to watch these races? It is also wonderful to see Robe Tissage with her beautiful colt! You mentioned All Blush could become a stallion... That would be so great if WE could have another son at stud! I posted on their page in honor of War Emblem's birthday and included a four photo picture of when I and my family visited War Emblem and Old Friends for his official homecoming for people who helped bring him home! As you know it was a dream of mine to see him again! Unfortunately visitor posts are in an inconspicuous place and I don't think many saw it. Tomorrow I may try to add that post in this thread. But also in the wake of Charismatic's passing I was and am still so very sad as I know everyone is. I very much looked forward to meeting/visiting with him and had read he had a paddock next to War Emblem. Astra Emblem(JPN), 2013C. Daiwa Major(JPN) x Black Emblem(JPN) by War Emblem(USA), won in the Osakajo Stakes (Listed) 1800m turf at Hanshin on March 5h 2017. The artist formerly known as The Colonel. Victoria(JPN) was ridden today by Yasunari Iwata who had guided her dam Black Emblem to the G1 Shuka Sho victory 10 years ago, as she won on debut breaking the 2yo track record at Hakodate. Like her dam, the 2yo filly is trained by Shigeyuki Kojima. All Blush is said to ship to South Korea to run in the Korea Cup next.